For Native American and Indigenous students, positive self-concept includes pride in their cultural background. Native American & First Nations College & Career Success is designed to improve student retention and success for Native American and Indigenous college students. It is based on the premise that cultural pride and positive self-identity are the foundations for learning. 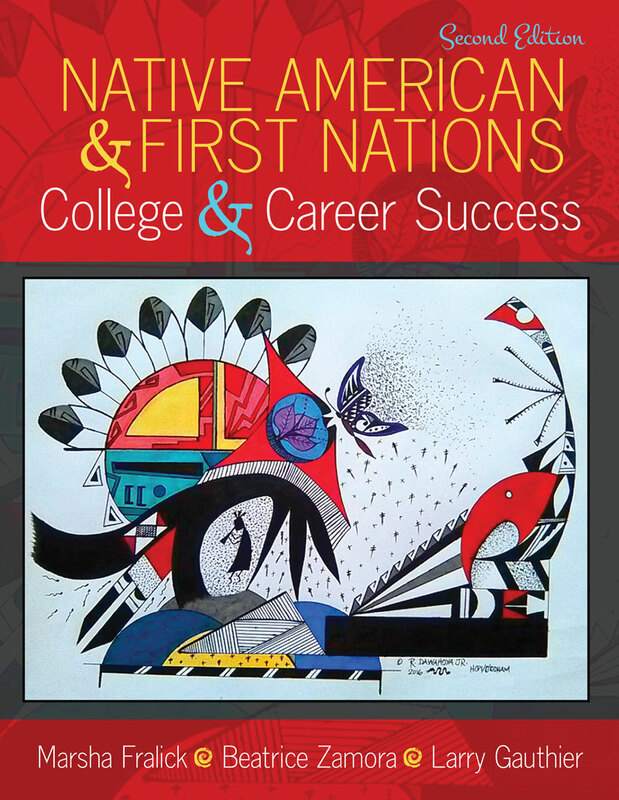 features a new chapter titled Cultural Identity and Success that gives an overview of Native American and Canadian Indigenous history of higher education from colonization to the present day. has material useful to Native Americans in the United States (Native American and Alaskan Native) and the Indigenous peoples of Canada (First Nations, Aboriginal, Metis, and Inuit). includes concepts from positive psychology and topics on career, college and lifelong success. features "Stories from the Elders" sections that help students to connect universal themes in Native American cultures to learning. Since various tribal stories are shared, they also bridge commonalities across cultures. Includes contributions from tribes in Canada, the United States, and Mexico. presents "The Talking Circle" activities that provide questions which enable students to relate their traditional stories to success in college. increases math success – this edition has expanded material on how to study math, take math notes, deal with math anxiety, and how to be success on math tests. The many tools included with this text are designed for student engagement. Interactive activities, frequent quizzes, journal entries, and individual and group exercises are all featured in this new 2nd edition. Students will also gain access to an online career portfolio which will help them make an informed choice of their college major and career. The Do What You Are personality assessment and the MI Advantage assessment give students results that are linked to the O*Net database of careers for exploration. Simply Hired is also included to assist students in finding employment while in college or after graduation. Beatrice Zamora is a retired educator with 32 years of service with a special focus upon students who face challenges of being low-income, educationally underprepared, and under-represented in college. Beatrice has served in various roles in higher education including the Dean of Counseling and Student Services, professor, and counselor. In 2015, Beatrice received the honor of Woman of the Year – Higher Education, bestowed upon her by the California State Legislature, an acknowledgement of her dedication and service to the students of California. Bea understands that cultural diversity is a strength and she has explored her Native American heritage through the Aztec dance and culture of Mexico and collecting Native American stories. She has a passion for creating equality and helping students reach for their dreams. As a member of the Lac La Ronge Indian Band, Larry Gauthier was raised in the Woodland Cree traditions and incorporates traditional First Nations value and beliefs systems into student support programs. Larry has spent over 20 years working in student support services and most recently at the senior executive level with Southeast College in Saskatchewan. His passion has always been student retention and success.